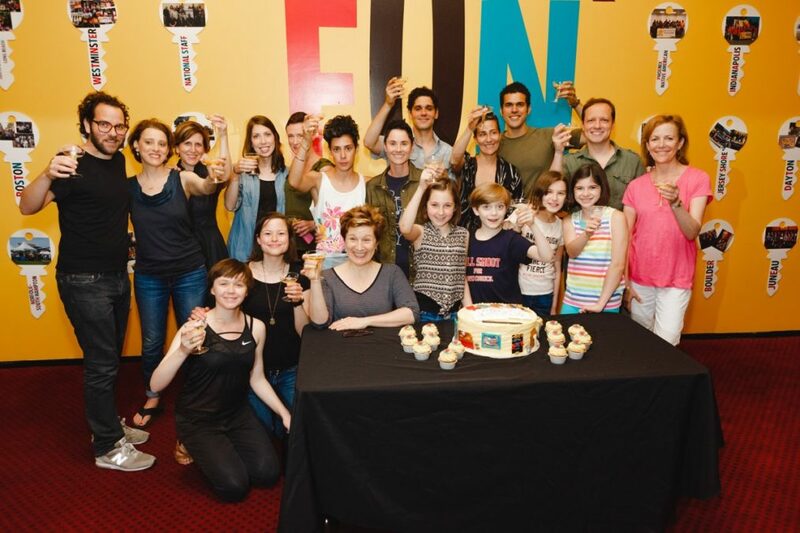 The Tony-winning musical Fun Home celebrated 500 performances at the Circle in the Square Theatre on June 30. 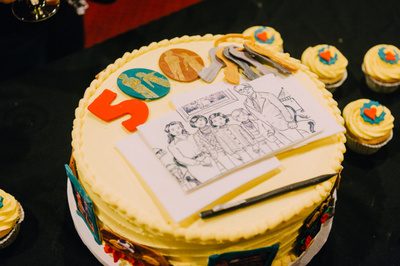 The creative team Tony winners, including director Sam Gold, scribe Lisa Kron and composers Jeanine Tesori (see below) and stars Judy Kuhn, Beth Malone, Emily Skeggs and Gabriella Pizzolo were in tow to enjoy a slice of the cake, complete with Bechdel family drawing and ring of keys (see below). 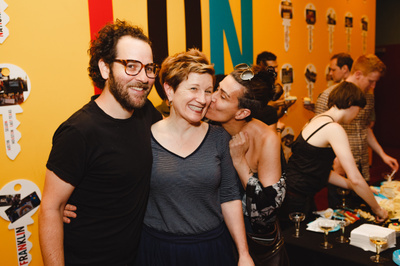 Fun Home nabbed five Tony Awards in 2015 for its compelling story, direction and score. Based on the graphic novel by Alison Bechdel, the tuner charts a girl's quest to come to terms with her father's unexpected death. As she moves between past and present, Alison dives into the story of her volatile, brilliant father and relives her unique childhood at her family's funeral home. See how it shines before the production shutters on September 10!